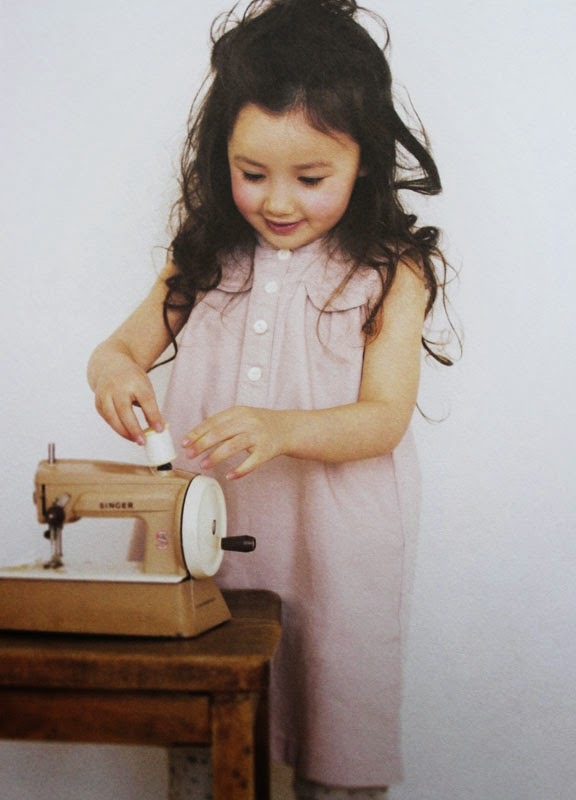 I was recently received an email from Brandon from Tuttle Publishing asking if I would like a copy of the latest Japanese sewing book - Sew Sweet Handmade Clothes for Girls. Of course I would! The only condition was that I make something and blog about it. My pleasure!! I love emails like that! 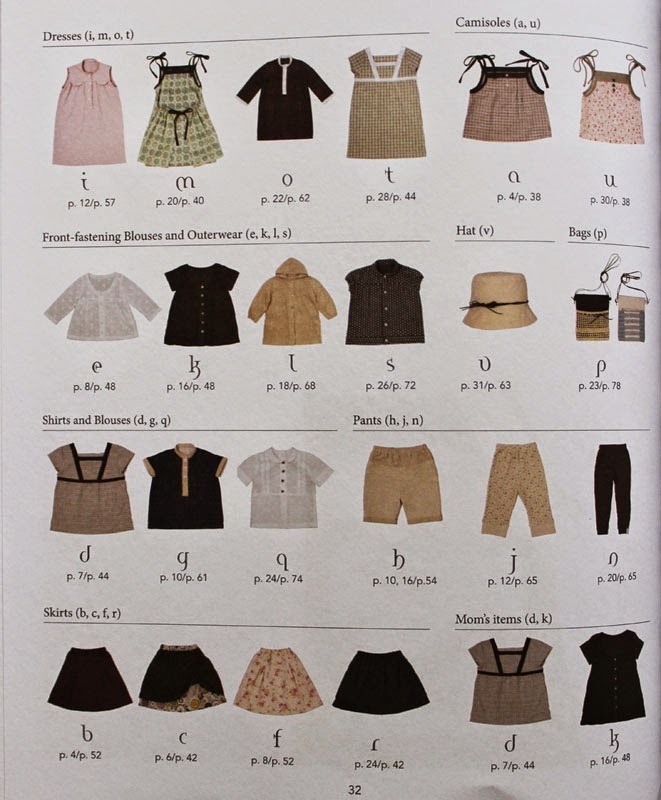 Below is an overview of the patterns in this book. 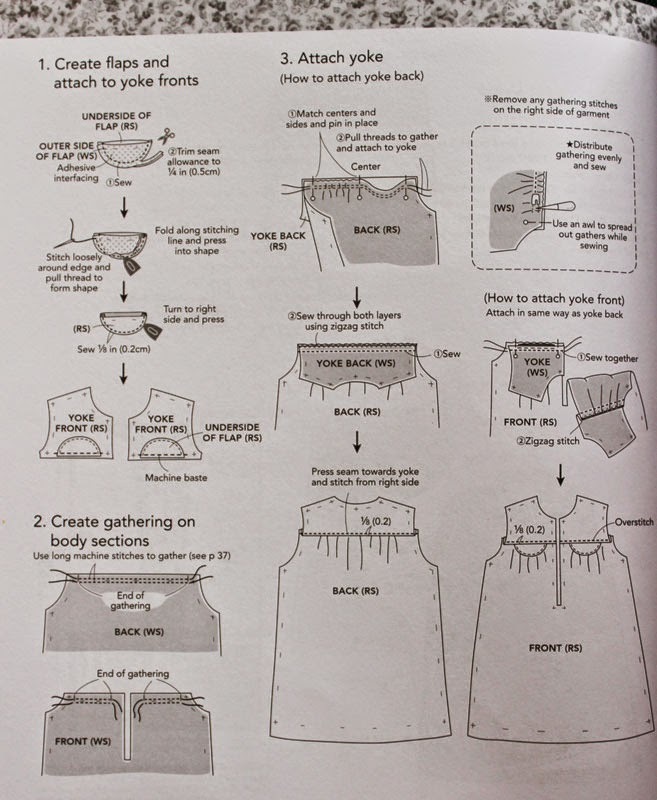 The sizing is 1-2; 3-4; 5-6; 7-8 with the addition of two patterns also being sized for women. - The books is beautifully laid out and a pleasure to work with - drawings are detailed with written instructions to accompany them. 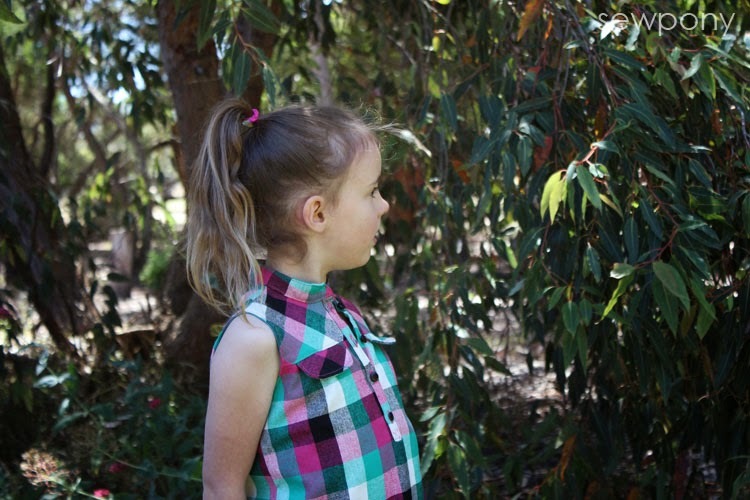 I pondered over the book a while after deciding to make this dress. 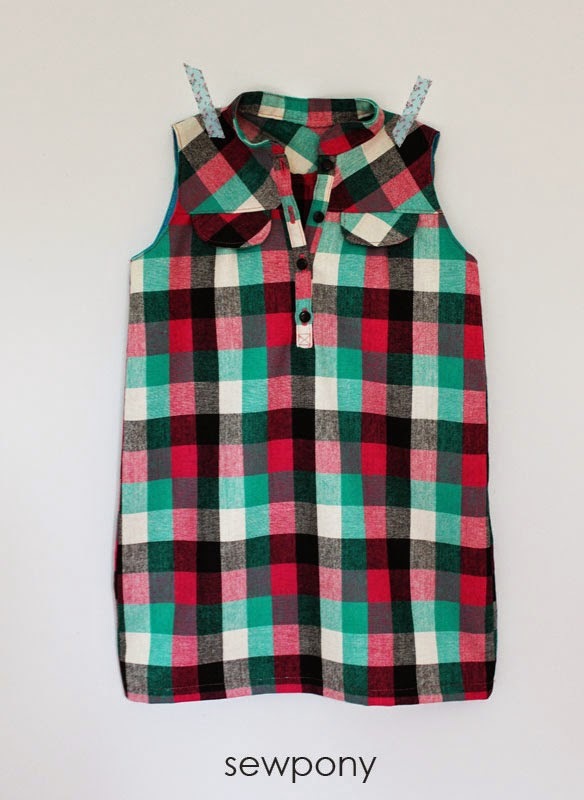 It is sleeveless with a high stand up collar, button placket, faux front pockets with gentle gathering under the front and back yokes. I made mine in a wool/cotton blend check that I was given by a friend. I am not sure how old the fabric is - it is from my friend's mother who was a seamstress in her day and loved fabrics. I was lucky enough to receive a big box of her fabrics. I cut the yokes and button flaps on the bias for some contrast. 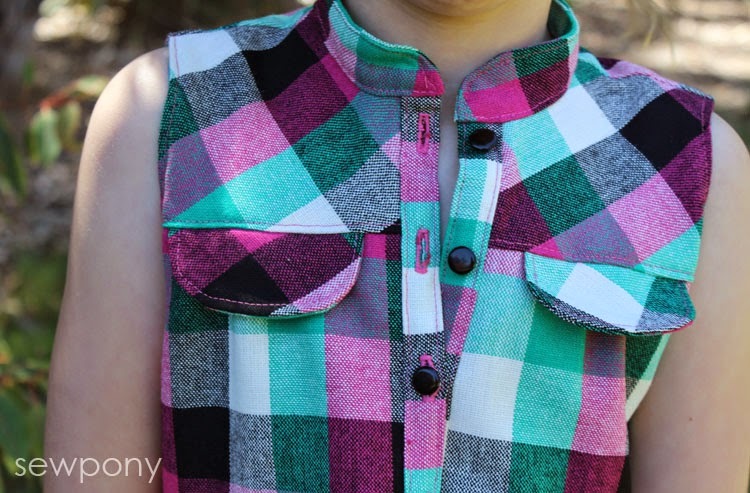 Although I learnt to sew years ago, this is the first time I have created a button placket - it was heaps of fun to follow the steps and see it come together. I am very pleased with my first attempt! 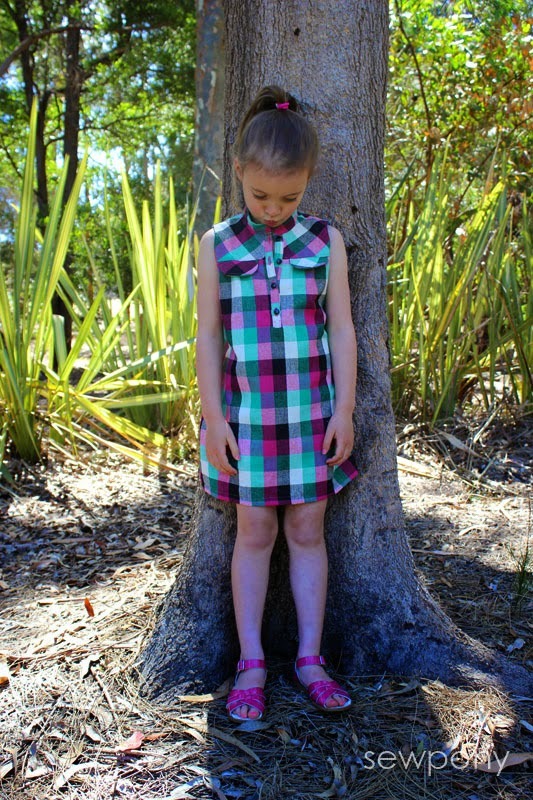 Although this dress suits Isabella very much, while I was sewing it, I decided it would be a dress we would donate to the wishing tree - this is a charity initiative organised by the Salvation Army whereby you place a marked gift under a christmas tree at our K-mart and the gifts are then distributed to those in need. I hope a little girl enjoys opening this gift for christmas and I will just have to make another one for Issie one day!! 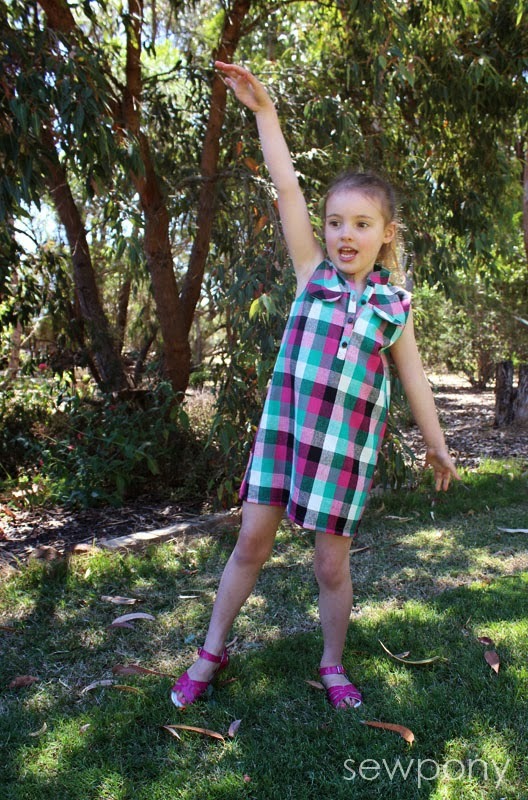 I sewed up size 5/6 for my petite 6 and a half year old. I would say the sizing is on the small size for this dress (mostly with dress length) but can't say for other garments yet. 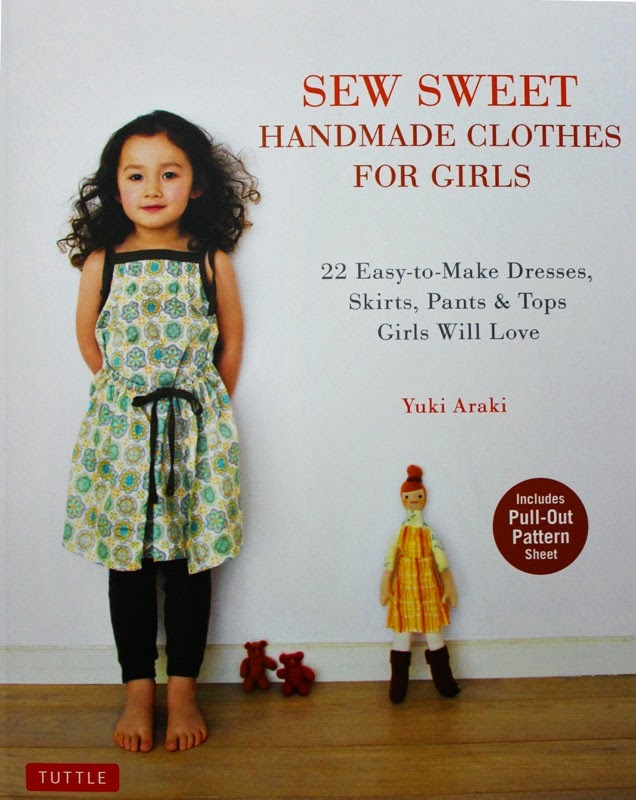 The author and pattern designer for Sew Sweet Handmade clothes for girls, Yuki Araki states in the book that she has designed the clothes to be worn "now", ie. not with room to grow into. 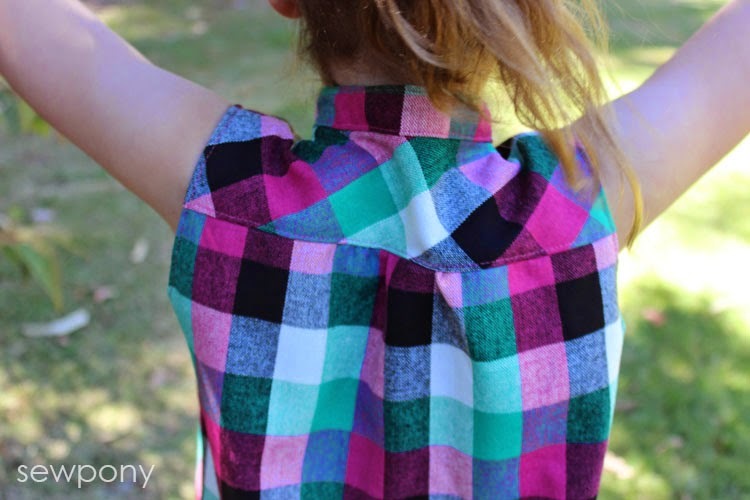 The collar looks like it is mismatched in height in the photo below but in real life it's not...I promise! I can imagine this dress with long sleeves, tights and boots too. Gorgeous dress, I love it in that plaid. 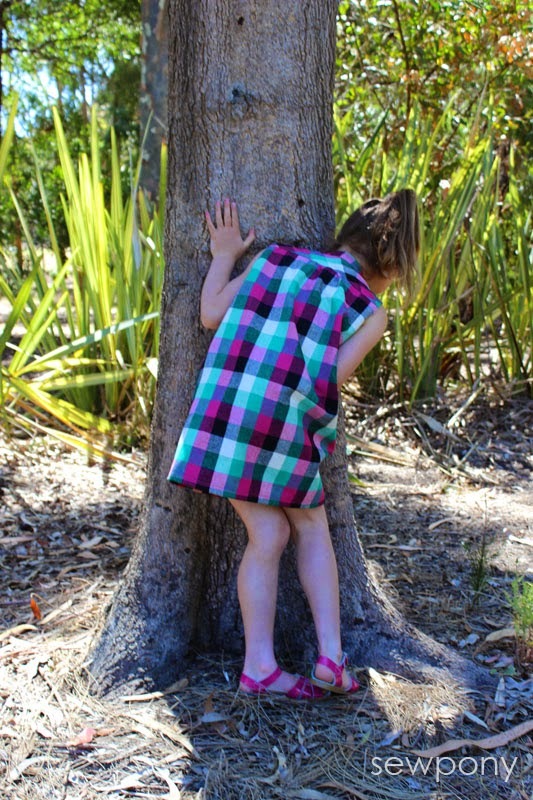 What a great idea to sew something lovely as a wishing tree gift, I'd only ever thought of toys as tree gifts. Suz, you've done a lovely job with this dress. I agree, such a good idea for the wishing tree. Oh lovely! 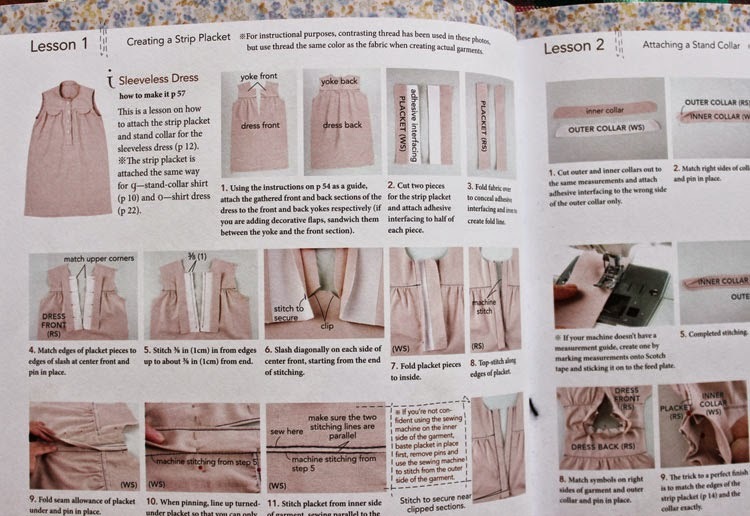 I just bought this book too and am excited to try out this dress!